Last October, I got an e-mail from Casey, who found my post on the Ikea Comic Book Photo Frame Hack to be very useful as he wanted a cheap and effective way of hanging and displaying his comic books. He was so excited that he sent me pictures back then of the couple of books he had displayed in his basement and let me know he was not done yet. I had no idea how much further Casey had to go, but last weekend he e-mailed me his finished basement and all i can say is WOW! Check out Casey’s story and pics. It’s pretty darn impressive. My name is Casey and I live in Kenosha, WI. 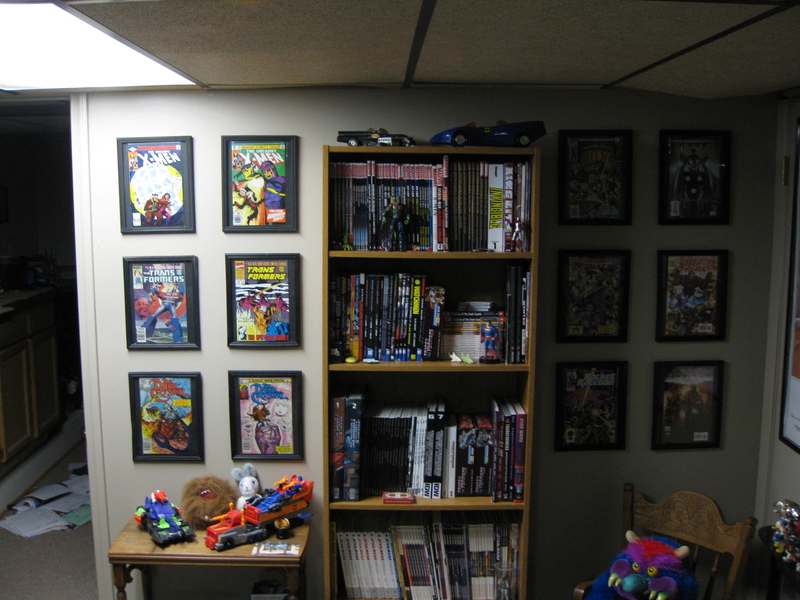 I collected comics when I was younger, mainly marvel transformers. 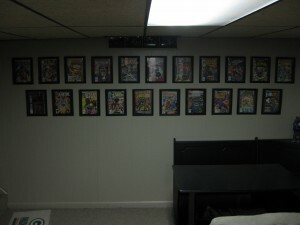 I had always wanted to complete that series and so a year ago as an adult, I set out and accomplished it. Issues 72, 76, and 78 being the most difficult to find, any condition. 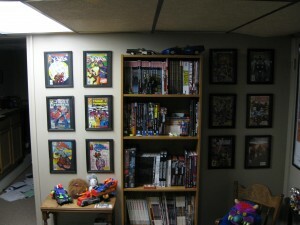 I immediately wanted to display them somehow and ran across Youseph’s blog. I went the Dollar Tree route as I have four stores within 20 mins of my house. I would definitely recommend these frames if you do not have an Ikea close by. But do NOT order them direct from China or where ever they come from. My case of 25 was not the best quality. Some frames were warped and one had the glass broken. The frames at the stores were in much better condition and I could pick and choose. So I just used a large level, pencil and nails for hanging them. After completing my marvel transformers set, I wanted to get back into reading comics also, and marvel now had just kicked off so I started collecting some series. It escalated pretty quickly and soon I wanted shelves so that I could have a comic shop look in my home. I spent $22 to build the shelves. Three 5 foot pine boards with thin base board nailed to the front. 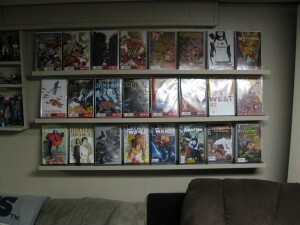 I then tacked this stuff that my Dad lined his tool boxes with so there would be a cushion for the comics to sit on. Then used three L shaped brackets each to screw them to the wall. I already had the paint. It turned out exactly as I envisioned it. 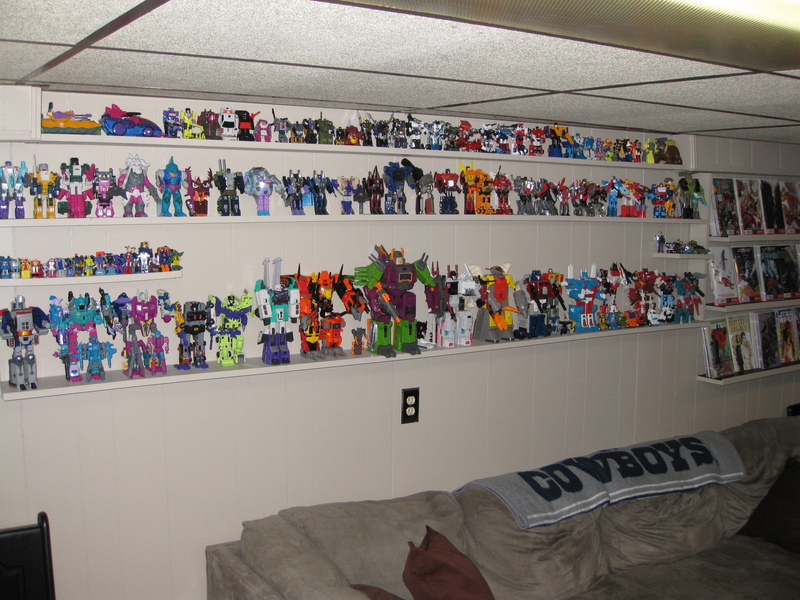 Last pic is my G1 transformers collection. 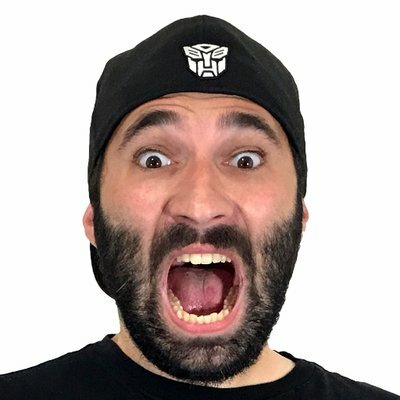 I love transformers and I noticed Youseph did too. I had gotten most of these as a kid. Thanks for letting me show my set up. Thanks for writing in Casey and sharing your setup. 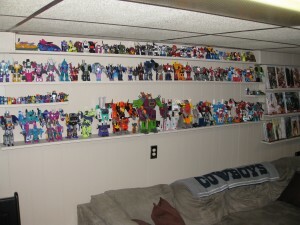 It looks great and you have made me more then a little jealous with all your Transformers collectibles. Transformers Review Issue 11: Brainstorm! Transformers Review Issue 12: Prime Time!